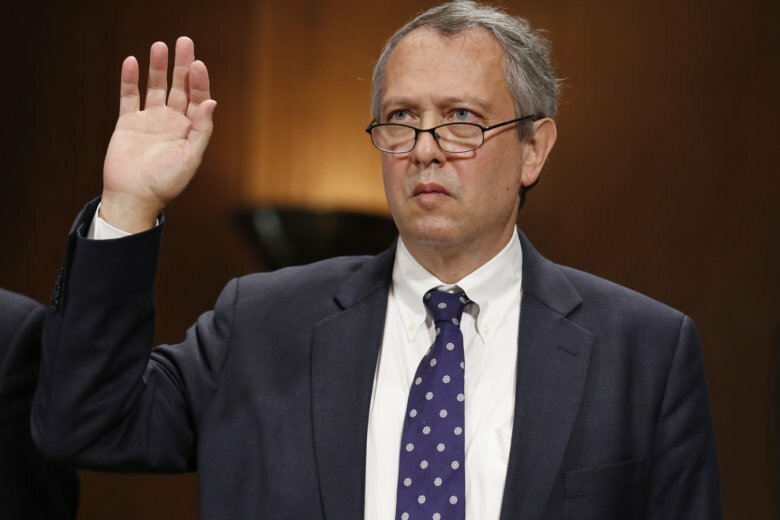 WASHINGTON (AP) — A second Republican senator, Tim Scott of South Carolina, has said he will vote against President Donald Trump’s nominee to serve as a district judge in North Carolina, likely dooming the prospects of Thomas Farr filling the nation’s longest court vacancy. A 1991 Justice Department memo, first reported by The Washington Post, raised questions about Farr’s claim that he was never consulted about the postcards. The memo said Farr had met with key campaign officials and had advised them “that a postcard mailing like the mailing conducted in 1984 would not be particularly useful” except as evidence in post-election challenges. “Thomas Farr has been involved in the sordid practice of voter suppression for decades and never should have been nominated, let alone confirmed to the bench. Thankfully, he won’t be,” Schumer said. Earlier Thursday, senators had agreed to postpone the vote on Farr until next week. That decision came less than 24 hours after Republicans needed Vice President Mike Pence to cast a tie-breaking vote Wednesday to move Farr’s nomination forward for a final vote. Republican Sens. Thom Tillis and Richard Burr of North Carolina both supported Farr’s nomination. Tillis said earlier in the week he believed that Farr was being treated unfairly.